Recommended ships: Can be completed in (1) Maelstrom w/ passive tank and (1) Maelstrom w/ Shield Transporters, but recommend more support, especially for mission invaders. (1) Drake w/ passive tank and (1) Drake w/ shield transporters, but recommend more support. Completed in (1) Nighthawk with passive tank, (1) Dominix with Large Remote Shield Reppers, and (1) Maelstrom with 8x 1200mm 'Scouts' for DPS. Had to warp out several times during Pocket 2. At gate's destination, NPCs await your ship in two clusters: One behind you, and one to your left. All ships, missile batteries, and sentries are between 20 – 25km away. Full Room aggro upon warp-in. Acceleration Gate dangerously lands your ship on top of a Drone Bunker and several Wall structures that can entangle your ship. Landing spots vary slightly per gate activation so entanglement is chance based. 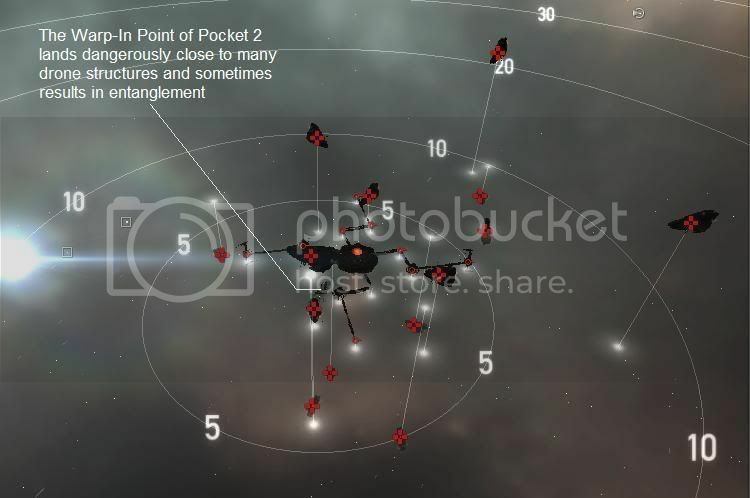 All NPCs surround you between 1 – 9 km away, and retreat to their respective orbits. Full Room aggro upon warp-in. 1. Have a buff fitted ship, armor buff or shield, does not matter. Your looking for hang time against 2000dps. 2. When you warp in you will be 900 to 3600 meters from on thing or another. 1 out of 3 warp ins will land you far enough away to activate a cloaking device. 3. Forget cloaking, take it off your battleship and fit anything you can to increase your targeting speed. When you first warp in immediatly start to target the Sentry III towers, there are 4 of them. Stay and punch its lights out for as long as you can hang. Always target the first one on the list in the overview (sorted by distance). Rinse and repeat this until all four sentry towers are destroyed. When they are gone, apply the method described for part 2 of 3. This one is roughly a step harder than the previous parts. If you do not have perfect shield skills i would recommend a T2 shield tank ship or a third support/dps ship. Do not use armor tanks: there won't enough time if you discover your tank is not sufficient. There are two keys to success: Timing and target picking. Tank should go in first, followed by the support after 3-4 seconds so you can put on the shield transports fast enough in the 2nd pocket. Target the cruise missile turrets first, then the sentries - they'll go down fastest. 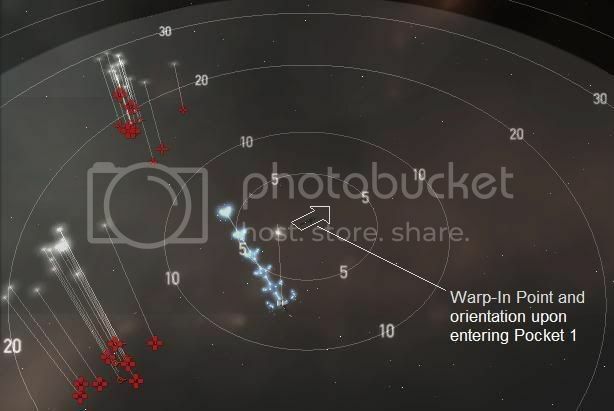 After targeting immediately align your ships to a station, so you can warp out instantly if something goes wrong. When the turrets are down you shouldn't have any problems. Be careful and warp out if necessary. Do not sit it out to structure! You should try this approach on easier missions first - timing is crucial. Agree with all above advice. The timing in the second pocket is crucial if you use a logistics + tank. You should be warping in the second ship as the first hits the pocket. The placement of the structures is a real pain and lost a ship the first time I did this as i couldn't align and got tangled up, also my logistics had same problem and was out of range when it warped in. After a rethink I found a buffer shield drake using extenders rather than purgers worked much better as you get hit so quickly that by the time your shield recharge kicks in you'll be in armour. Done in a post-dominion Rattlesnake. Took out the sentries/batteries first, and no problems from there on. The loot is great (nearly 4000m3 of the better drone goo). Been there, done that. Was never below 65% shield (no logistic ship there, just solo Tengu), so next time i will drop 1-2 SPR for more gank. Was pretty slow to kill them all (EM-DPS is not the strong point of the Tengu), but those drone minerals are quite decent, was around 50 mil unrefined on market. Confirming easy solo tank with the new, post-dominion Rattlesnake. My fit is fully passive with T2 rigs and A-type resist amps, but this was the only mission from the Rogue Spy series I was unable to solo tank prior to Dominion. Now, the shields don't go below 60%. *yawn* More LP, please! The quantity and quality of the drone poop from this series of missions is also excellent, so make arrangements for looting and hauling for maximum ISK potential from this mission arc.